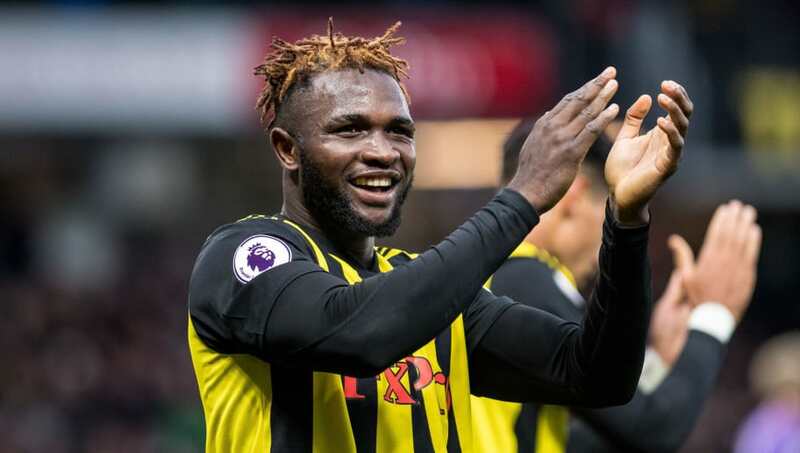 ​Watford striker Isaac Success has signed a new long-term contract with the Premier League club that will keep him at Vicarage Road for the next five years. Success, who joined Watford from Granada in 2016 for what was a club record fee at the time, made only one appearance for the Hornets last season and spent the second half of the campaign on loan at Malaga.  | @SuccessIsaac has signed a new deal with #watfordfc that takes him through to 2023! However, he has featured in every game ​Watford have played so far this season and scored his first Premier League goal since 2016 when he found the net against ​Huddersfield in October. Watford announced on their ​official website that Success had agreed the new five-year deal which will keep him at the club until 2023, when he will be 27. "This is a just reward for Isaac's continued hard work and application this season. We look forward to seeing him develop further over the coming years," said Watford's Chairman & CEO Scott Duxbury. Success has four caps for Nigeria, making his international debut at Barnet's Hive Stadium against Senegal in March 2017. He scored 9 goals in 11 appearances at youth level for the Super Eagles but is yet to get his first senior goal. In addition to his strike against Huddersfield, Success has also scored against ​Reading and ​Tottenham in the Carabao Cup this season. This is the second piece of contract renewal news for Watford in two days, after manager Javi Gracia ​also signed a new five year deal on Wednesday.